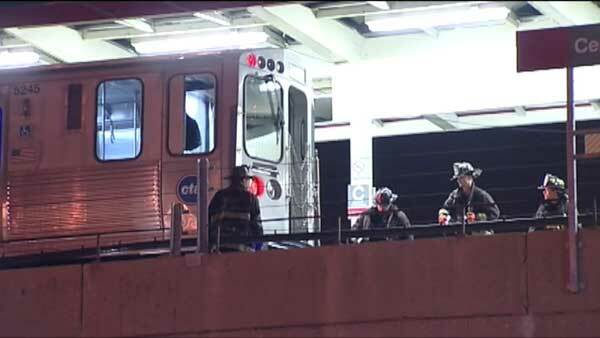 A 42-year-old man was struck and killed at the CTA Red Line Cermak-Chinatown station overnight. CHICAGO (WLS) -- A 42-year-old man was struck and killed by a southbound CTA Red Line train at the Cermak/Chinatown station overnight. Firefighters responded to call about an unresponsive person pinned under a train around 2:30 a.m. Tuesday. The man was pronounced dead at the scene and has not been identified. It's unclear how the accident occurred. Police are conducting a death investigation. Red Line service was temporarily halted between 35th and Grand. Service was restored just after 4:30 a.m. Tuesday.